Scientists have discovered a new technique to map the extent of damage of ocean water from the space. 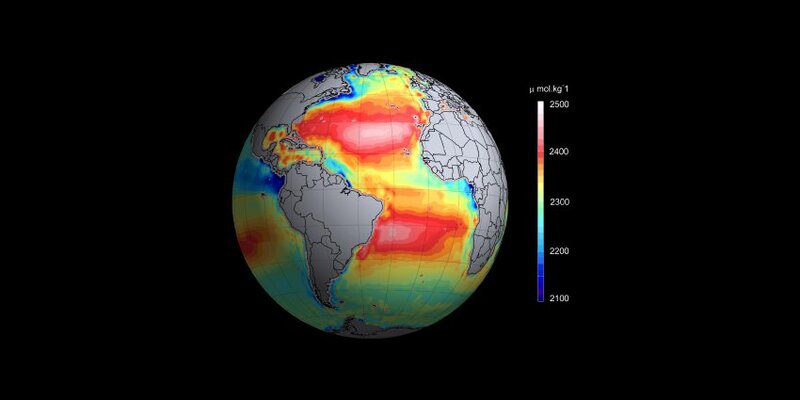 The innovative method deploys satellites to supervise ocean acidification that allows the measurement to be conducted even in the inaccessible parts of the waters. The novel approach is considered a revolutionary method that could alter the current scientific methods involved in ocean studies. The study also extends the ESA’s Soil Moisture and Ocean Salinity mission. A portion of the carbon dioxide released into the atmosphere is absorbed by the ocean waters. Scientists estimate this amount to be around 25% of the total release. The gas, on absorption by water, leads to the formation of carbonic acid. The procedure hence causes acidification of ocean water. On a temporary basis, the process reduces the amount of the toxic gas present the atmosphere but is potentially hazardous for marine life. An increase in ocean acidity can damage the shells of marine animals, such as shellfish, oysters, mussels and clams. Over longer periods, their population is threatened to decrease. This could damage the food chain for other marine animals that feed on them. The National Oceanic and Atmospheric Administration has brought forward statistics that prove that since the Industrial Revolution, there has been a 30% increase in ocean acidity. Until now, scientists relied on the expensive method of collecting samples of ocean water with the help of buoys and vessels. The method was also less effective because it limits the number of available readings. The new approach, involving observations from space is helping climatologists to better study the problem. With the help of the new map, scientists have already made some remarkable observations. Water in the areas around northeastern U.S. was found to be the most acidic as compared to the rest of the global ocean. Scientists also found that coastal regions have higher acidic content than the areas having deeper water.